A group of researchers at Ben-Gurion University of the Negev has developed a new molecule that they say inhibits the growth of cancer cells and also reprograms them to be noncancerous. The new treatment is based on inhibiting the production of a protein, the voltage-dependent anion-selective channel 1 (VDAC1), highly increased levels of which are found in many solid and non-solid tumors. The research was led by Prof. Varda Shoshan-Barmatz of the Department of Life Sciences and the National Institute for Biotechnology in the Negev Ltd. (NIBN), both of which are part of BGU. The VDAC1 protein regulates the mitochondria, which control cell metabolism. Cancer cells are known to have a very active metabolism. The study was conducted on both in vitro and in mouse models of brain cancer, lung cancer and breast cancer. “Although still in early stages, we are excited with our results that demonstrate the potential of this novel molecule for cancer treatment,” said Shoshan-Barmatz. BGN Technologies, the technology transfer company of Ben-Gurion University, is now in the process of patenting the molecule and the study will be published shortly after that, Shoshan-Barmatz said. 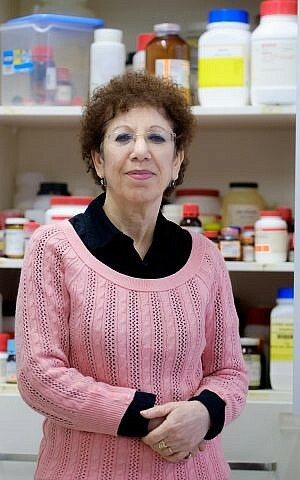 Dr. Ora Horovitz, senior vice president of business development at BGN Technologies, said that the researchers are “now seeking partners for the further development and advancement of this promising patented treatment,” bringing it to clinical trials in the hope that it will lead to a new path for cancer treatment. The NIBN is an independent research institute that aims to facilitate and speed up preclinical trials of basic and applied biotechnological research.